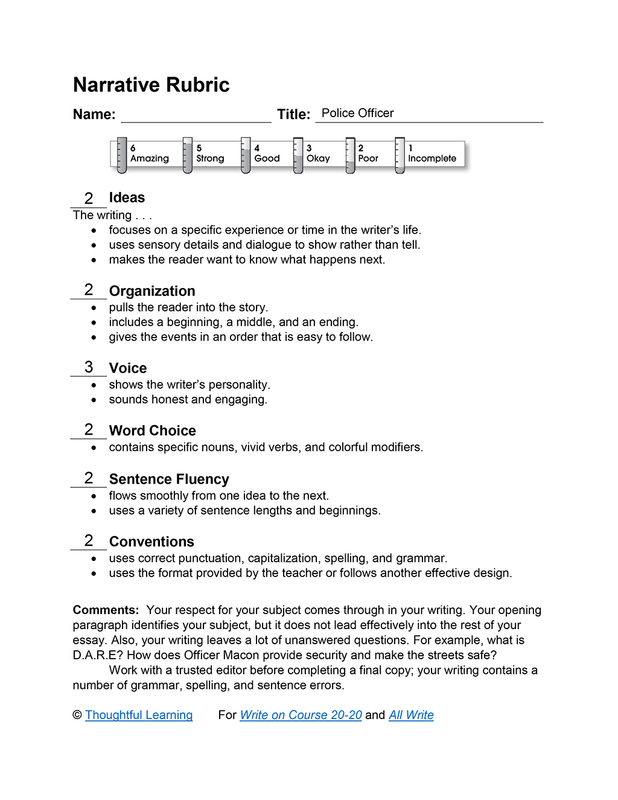 A middle school student provides a few details about a police officer in this biographical essay. Officer Macon is a police officer. He is interesting and shows a good character. First of all, Officer Macon likes to teach D.A.R.E. I think that officer Macon is very freindly and funny. I think that because he can tell very funny jokes. He is freindly because he helps everyone that need it. Secondly, Officer Macon provides security to everyone that asks him. He works very hard toward making streets safer for kids to walk on, he also works toward riding the streets of gangs. Officer Macon puts only people that broke the law in jail. Thirdly, Officer Macon is the only officer that I know that have good character. He is very respectful to what he does and to people he knows and works with. Officer Macon is very carring because he never denied no one that would ask him for a favor or help. Last of all, Officer Macon is only a police officer. He is very funny and respectful to everyone and also the best officer that could work toward making streets and schools safer. I think that Officer Macon is the best. Police Officer by Thoughtful Learning is licensed under a Creative Commons Attribution-NonCommercial-ShareAlike 4.0 International License. Based on a work at k12.thoughtfullearning.com/assessmentmodels/police-officer.